Home SharePoint SharePoint 2013 SharePoint Products Configuration Wizard SQL Server Troubleshooting SharePoint Products Configuration Wizard Failed to Connect to the Database Server. 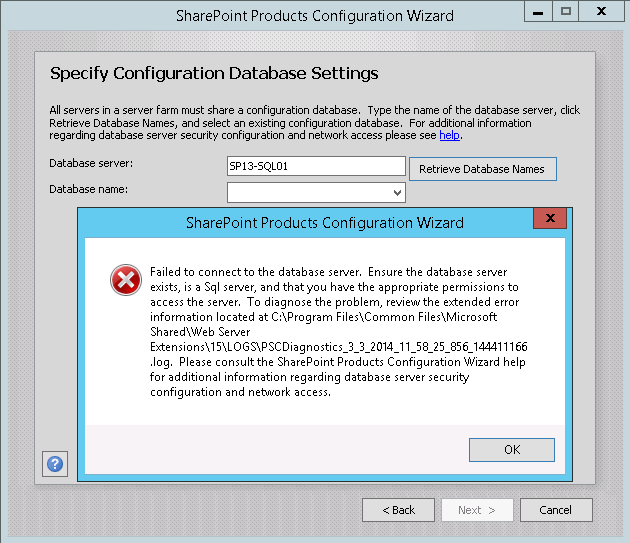 SharePoint Products Configuration Wizard Failed to Connect to the Database Server. SharePoint sites crashed suddenly! Found event id 5586 "The target principal name is incorrect. Cannot generate SSPI context." logged in SharePoint servers. "Failed to connect to the database server. Ensure the database server exists, is a Sql server, and that your have the appropriate permissions to access the server." Made sure Firewall is disabled. TCP/IP, Named Pipe protocols are enabled in SQL Server. Verified all required permissions to connect with SQL Server. Made sure no service account is locked. Tried restarting the services and server. 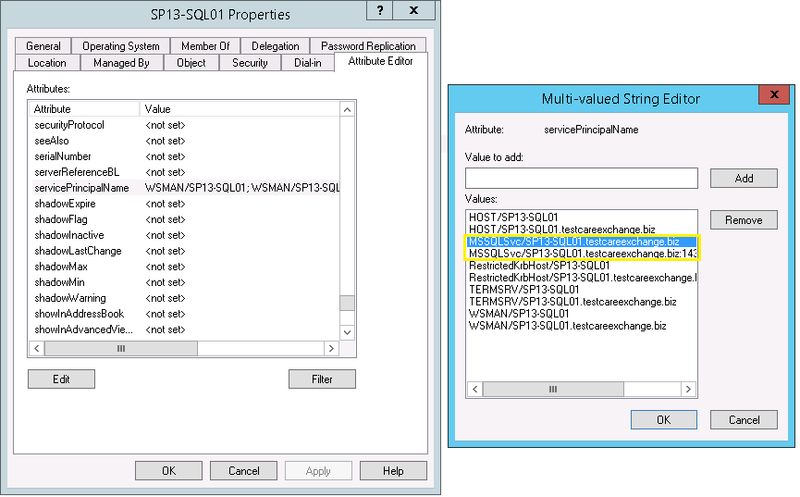 But when tried establishing a connection to SQL Server as in How to Check SQL Server Connectivity from SharePoint, it failed! Remove these two highlighted entries which starts with "MSSQLSvc"